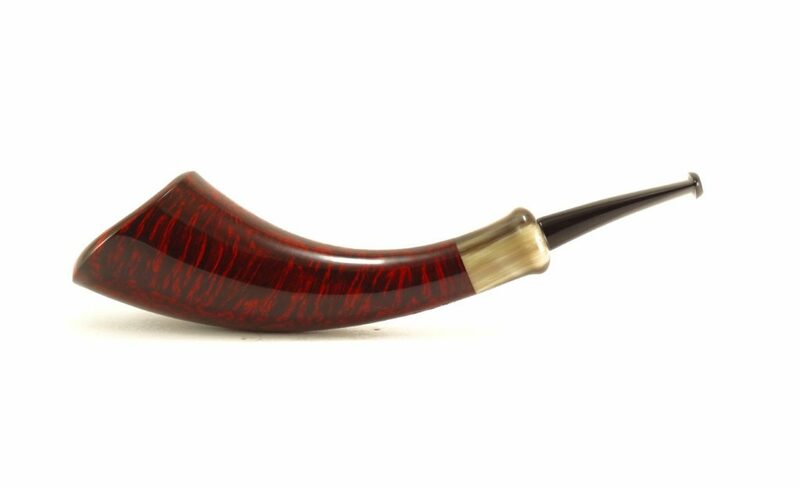 A horn with horn, which I’m not really sure qualifies as a pun. 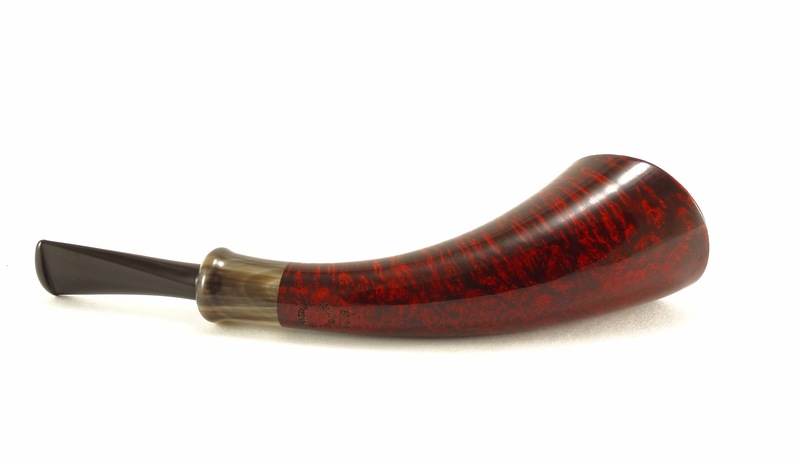 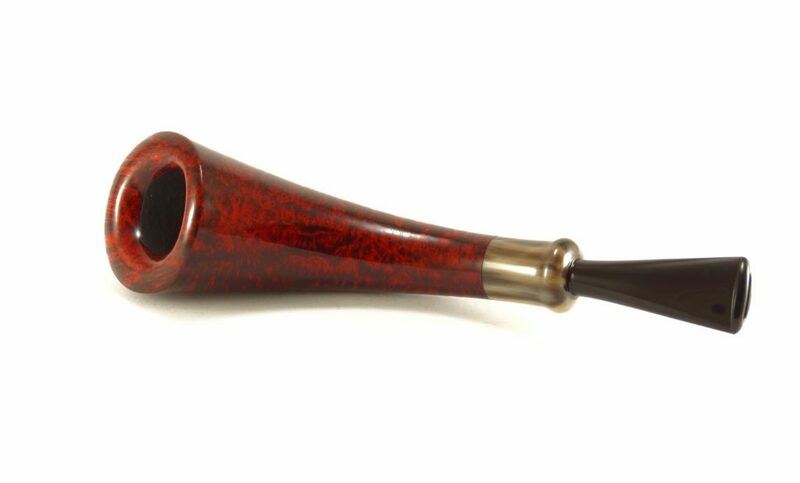 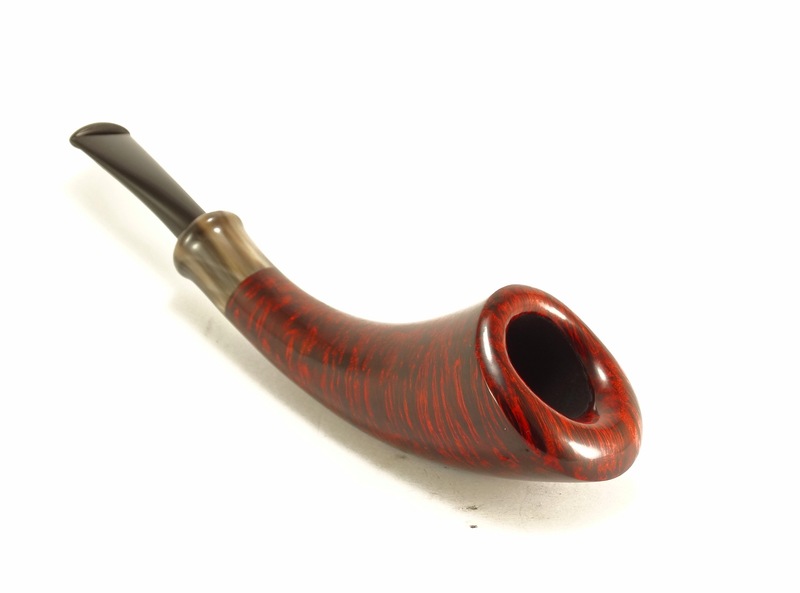 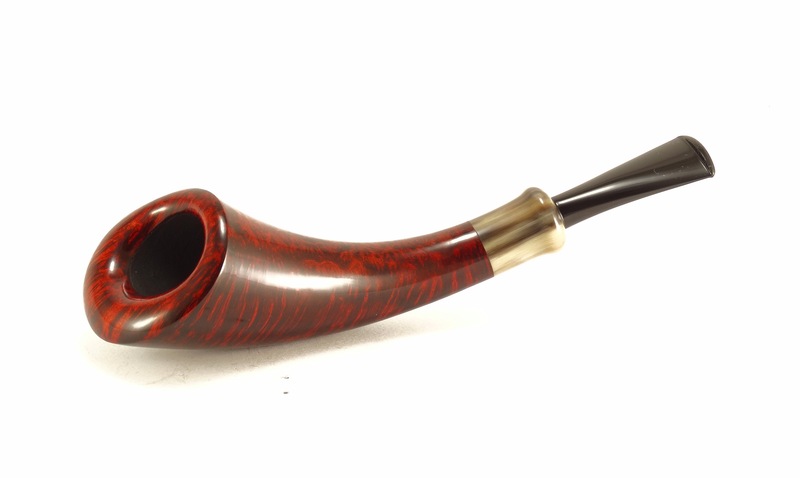 Anyway, a sleek and lightweight piece of beautifully grained briar accented with a contrast stain. 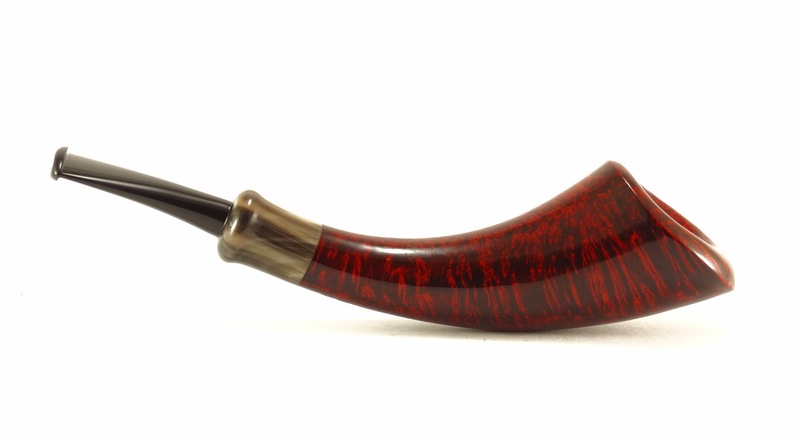 The shape is completed by a piece of natural horn which displays the varied coloring I personally love in this material. 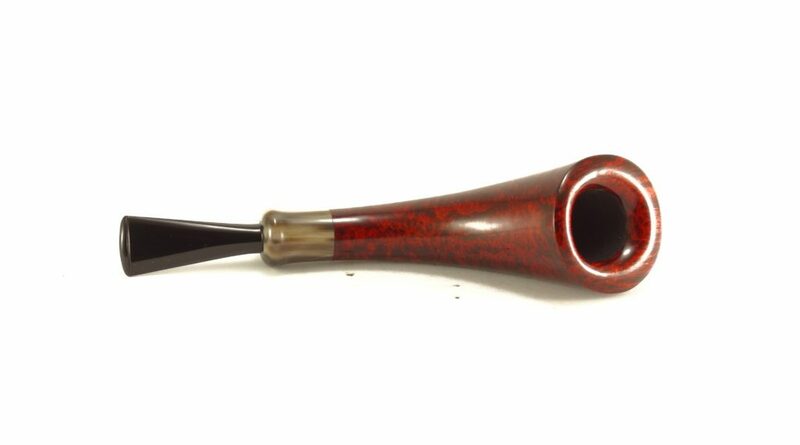 Mouthpiece is black ebonite.